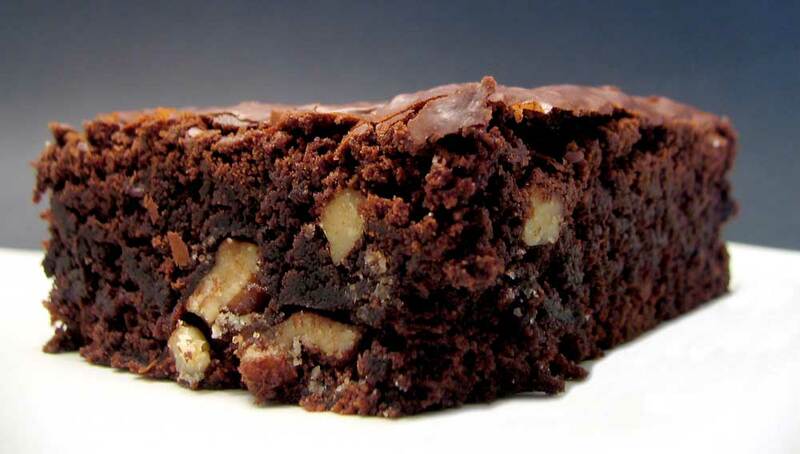 Dec. 8 is National Brownie Day. December is National Fruitcake Month. of brownies in recreational and medicinal states. Simplicity isn’t always simple. Take brownies: A few pantry ingredients. Some mixing. Then bake. In less than an hour, you’re staring at a pan of deliciously humble chocolate decadence. But wait before you bite. Did you crave fudgey but bake cakey? Did you bake them too long or too hot? Did you get that elusive crackly crust? And don’t cut into them yet – maybe not today or even tomorrow. For all the fuss you would think you were making the queen’s coronation cake. If your head is reeling like you ate a laced hippie brownie, slowly step away from that Duncan Hines. Making a great cannabis-infused brownie from scratch is a piece of cake, or in this case, an easy bar cookie, when you know these things. Cannabis Butter. or homemade. Yada yada yada. Yada yada yada. Cannabis Chocolate. Gourmet store-bought options. Yada yada yada. Yada yada yada. Cannabis Caramel. Make your own. Yada yada yada. Yada yada yada. Cannabis Nuts. Use whole infused pecans to mark portions or crush nuts and fold into batter or sprinkle on top before baking. If you crave dense and intense brownies that collapse into moist, molten decadence, there’s no way to fudge fudgey. Melt a lot of chocolate. Even a small batch can call for a pound or more of chocolate. Choose a recipe that has less flour. It’s no coincidence that fudgey brownies have a lot in common with flourless Chocolate Decadence Cake. Mix by hand. Whisking a minimal amount of air into the eggs reduces their leavening power. Gently stirring in the flour avoids toughening the batter. Keep your oven cool and under-bake. A lower oven temperature (325 to 350 degrees) helps fudgey batters bake smoothly. Removing brownies from the oven just before the center sets ensures moist gooeyness. Melt butter, chocolate and cream in a double boiler set over simmering water. In a bowl, whisk together eggs, sugar and vanilla. Combine chocolate chips with eggs, stirring until smooth. Sift together flour, baking soda, baking powder and salt. Whisk into chocolate mixture. Fold half of the bittersweet chocolate chunks into batter. Pour into a greased, 8-inch-square pan. Scatter remaining bittersweet chocolate chunks on top. Bake in preheated, 325-degree oven approximately 40 minutes, or until center is molten and not quite set. Per brownie (based on 12 with caramel): 500 calories (48 percent from fat), 5 g protein, 69 g carbohydrates, 26 g fat, 80 mg cholesterol, 80 mg sodium, 3 g fiber. Chewy or cakey brownies have more flour (and other dry ingredients such as cocoa powder). Flour gives them structure. They don’t fall after baking. They stand up to icing. They have less solid chocolate, sometimes even no solid chocolate. They include cocoa powder and more sugar. Cakey brownies that have high sugar content get a crustier surface, as granulated sugar replaces solid chocolate’s ultra-fine sugar particles, which melt smoothly and soften the batter. They have more butter. Extra butter compensates for the small amount of fat in cocoa powder. Since butter melts faster than cocoa butter, brownies with a high butter content will bake soft. Preheat oven to 325 degrees. Combine butter, sugar, cocoa and salt in a double boiler set over simmering water. Melt the mixture until it is hot to the touch. Remove the bowl. Let mixture sit until it is warm. Stir in vanilla. Add eggs one at a time, stirring with a spatula or wooden spoon vigorously after each addition. When the batter looks thick, shiny and well-blended, add the flour. Stir until you cannot see streaks of flour. Then vigorously beat for 40 strokes. If using nuts, stir them in. Pour batter into an 8-inch-square baking pan that has been lined with parchment paper or foil. Bake at 325 degrees until a toothpick inserted into center emerges slightly moist, about 25 minutes. Cool completely before slicing. Per brownie (based on 9 with nuts): 340 calories (56 percent from fat), 5 g protein, 39 g carbohydrates, 21 g fat, 80 mg cholesterol, 85 mg sodium, 4 g fiber. Brownies are commonly baked in a 9-by-14-by-2-inch pan that’s known as a brownie pan. Eight-inch square pans are also popular. Obviously, if you want thick brownies, use a smaller pan. If you want thin brownies, use a larger pan. If you’re using a dark, nonstick pan, lower the oven temperature by 25 degrees. Brownies, like all bar cookies, tend to bake with crusty edges, and dark, nonstick pans amplify the process. As tempting as it is, don’t cut brownies until they are completely cool. This should take at least an hour. People with willpower cool their brownies overnight. This allows the chocolate flavors to deepen. Some of us even like to let brownies get stale for a couple of days, adding an extra dimension of chewiness. Because cocoa powder has less fat and sweetness than chocolate, the butter and sugar content of brownies made with cocoa is usually pretty high. This produces a crackly candylike sheen and soft interior. To ensure a thin, crackly top crust, place brownie batter for two hours to up to two days before baking. For the record, brownies should not be super-sized. Anything more than 3 inches by 3 inches deprives you of seconds. December is National Fruitcake Month. Infuse fruitcake with canna-butter or infuse dried fruit with cannabis by soaking in THC (or even CBD) tincture prior to incorporating into unbaked fruitcake batter.